BRIDGEPORT --- Union workers picketed the Stop and Shop stores on Main Street and Fairfield Avenue Friday, urging customers not to shop there while they are on strike. The Bridgeport workers are among the 30,000 employees that went out on strike at 240 Stop and Shop stores in southern New England on Thursday. Company management is demanding health and benefit cuts and reductions in pay on some days. Stop and Shop is owned by the Dutch firm, Ahold. According to the union, Ahold made $2 billion in net profits last year. The company got a $225 million tax break from the US government in 2017. “They’re bringing in replacement workers who are making $20 an hour. That’s more than I make,” said one veteran worker. One woman picketing outside the Main Street store in the North End, who said she worked in the store for 20 years, was bitter at the customers who still keep coming to the store, despite the strike. “They just walk through. They don’t care,” she said. But for the most part, it appeared that patronage at the North End store was down a bit from Thursday when the strike had just started. The parking lot was about one-third filled. “ I don’t know how long this will go on. The last time there was a strike it only lasted four hours, but now we’re already into day two, so you don’t know,” said one employee. The strike creates a real pinch for many Stop and Shop workers. A story in the Connecticut Post quoted one of them, Chris Mauro, who works at the Stop and Shop on Fairfield Avenue in Black Rock. That includes triple their current contributions to healthcare, triple the healthcare deductible and a reduced pension contribution as well as a reduction of time and a half pay on Sundays. On Friday evening at the North End store, Channel 12 showed up, and so did the politicians --- including U.S. Sen. Richard Blumenthal, D-Conn, State Rep Chris Rosario, D-Bridgeport and several City Council members. All of them voiced their support for the strikers. Members of the Teamsters Union Local 1150 also came to show solidarity. As the nation marks the 51st anniversary of Martin Luther King’s assassination, a newly-formed committee of journalists, historians, lawyers, artists and King family members and advisors are questioning the official story about who killed the civil rights leader, and demanding a new investigation. The “Truth and Reconciliation Committee” has started a campaign to build support for a new probe into King’s murder, which took place on April 4, 1968, as well the other high-profile assassinations of the 1960s, of President John F. Kennedy, Sen. Robert F. Kennedy and Malcolm X. The government’s conclusion in the King case --- that James Earl Ray was solely responsible for killing King … has been widely disputed over the years. In 1999, a civil jury ruled in favor of a wrongful death lawsuit brought by the King family, which charged that Ray was part of a conspiracy to kill Martin Luther King, involving local and federal law enforcement officials and organized crime. The Justice Department immediately discounted the finding in the trial, and major media downplayed the verdict. David Talbot, the founder of Salon.com and a driving force behind establishing the Truth and Reconciliation Committee, said it is high time to expose the real truth behind the assassinations of the 60s, which saw four charismatic leaders --- all of whom sought major changes in US domestic and foreign policy--- taken out. “Our goal is to gather signatures from as many Americans as possible over the next year — an educational campaign that will culminate in the late fall with a major public inquest on the four assassinations. This public tribunal will hear testimony from living witnesses, family members and close associates of the victims, legal authorities, historians and other experts on these epic crimes,” said Talbot on the committee’s Facebook page. “The goal is to finally expose the full truth about this dark chapter of American history, and by doing so, come to a shared understanding of our past and a new awareness of what we must do to protect democracy today,” he said. 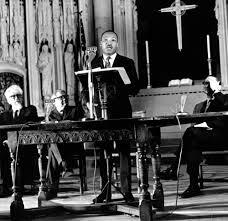 Signers of the joint statement include Isaac Newton Farris Jr., nephew of Reverend King and past president of the Southern Christian Leadership Conference; Reverend James M. Lawson Jr., a close collaborator of Reverend King; and Robert F. Kennedy Jr. and Kathleen Kennedy Townsend, children of the late senator. The committee is also calling for Congress to establish firm oversight on the release of all government documents related to the Kennedy presidency and assassination, as mandated by the JFK Records Collection Act of 1992. “This public transparency law has been routinely defied by the CIA and other federal agencies. The Trump White House has allowed the CIA to continue its defiance of the law, even though the JFK Records Act called for the full release of relevant documents in 2017,” the spokesman said. The Truth and Reconciliation Committee is modeled after the public hearings in South Africa after the fall of the apartheid regime. Russia-gate is over. But what really happened? Special Counsel Robert Mueller, after an exhaustive two year investigation, concluded that there was no conspiracy between Donald Trump and the Russian government to influence the 2016 presidential election. Although Democratic members of Congress vow to continue the Russia investigation in the House, with several leaders saying they are not satisfied with Mueller’s conclusions, it is hard to see how these committee probes will lead anywhere, and more importantly, why the American people would take them seriously. Polling by USA Today done just before the Mueller report was issued, showed that 50% of the American people agreed with Trump that the Russia collusion investigation was a “witch hunt.” Now that the report is out --- essentially clearing Trump --- it is likely that a majority of Americans would be skeptical about the purpose of any further investigations. The House inquiries could in fact turn into a political liability for Democrats heading into the 2020 election season. While the result of the Mueller investigation has settled the issue of collusion, it did nothing to answer a number of other crucial questions. Just what was the basis for suspecting Trump was compromised by Russia in the first place? Was the Steele dossier a legitimate basis for the FBI launching an investigation? Who was pushing the campaign to paint Trump and his family as being traitors? Another issue that needed investigation was the FBI application filed in October of 2016 for a surveillance warrant from the Foreign intelligence Surveillance Court (FISC), that enabled them to spy on the Trump campaign. The Steele dossier again was used to provide a basis for the application. FBI officials, including Comey, conceded later that they never verified the claims in the document. But they went ahead anyway with the application for the warrant. It also appears that FBI and Justice officials did not adequately disclose to the court the political origins of the dossier. If the court was intentionally misled, that would be fraud, and those who signed off on the application, including Comey, could be prosecuted. These issues need to be fully investigated, because they turn on whether there have been serious abuses of power by the leaders of our government, in the FBI, the CIA, the Justice Department and even by the former president, Barack Obama. Looking back on the whole saga, there is good reason to believe that the drive to portray Trump as compromised, was orchestrated by members of the intelligence community, officials of the Justice Department and possibly Obama. This cabal, oriented to the neo-con interventionist mindset, wanted to make sure that the hawkish Hillary Clinton won the presidency. They didn’t like Trump. The New York businessman, who had talked in his campaign about improving relations with Russia and staying away from interventions such as Syria, was seen as an unreliable commodity, who couldn’t be trusted to do the right thing. What better way to undermine Trump’s campaign than to paint him as a Russian agent --- after an FBI- authorized investigation found that Democratic National Committee campaign computers were hacked by Russians and information damaging to Clinton was then given to Wikileaks for publication? It was a perfect storyline. Trump had sold out to the Russians. The transcripts of cell phone text messages between FBI agents Peter Strzok and Lisa Page, released by the Inspector General and a Senate committee in January 2018, point to a conspiracy by FBI officials and others to frame Trump and block his election. Strzok, who was the lead investigator in the Trump probe, and his paramour, Lisa Page, an agency attorney, exchanged numerous messages in which they showed a hatred for Trump and an strong preference for Clinton. They used profanities to describe Trump. Then in one message to Page, Strzok referenced a meeting in FBI Deputy Director Andrew McCabe’s office, in which Trump’s election chances were discussed. “I want to believe the path you threw out for consideration in Andy’s office --- that there’s no way he gets elected --- but I’m afraid we can’t take that risk. It’s like an insurance policy in the unlikely event you die before you’re 40,” Strzok wrote. What was the insurance policy? Apparently it was using the counter intelligence probe into the Trump campaign to gain negative information about Trump and use that, together with the dossier, to spread misinformation in the media about the GOP candidate and thwart his election. Another text message between Strzok and Page linked Obama to the conspiracy. “POTUS wants to know everything we’re doing,” Strzok said. After his surprising election victory, the drive against Trump turned into a coup attempt. First, anti-Trump forces took the highly-unusual step of trying to persuade electors in the Electoral College to change their votes from Trump to Colin Powell, the former Secretary of State and military hawk. That didn’t work. In the spring of 2017, according to a report on “60 Minutes,” McCabe, Rosenstein and other officials discussed the idea of Rosenstein wearing a wire and then meeting with Trump and seeing if the president might say something incriminating. If that happened, members of the Cabinet were going to be asked to invoke the 25th amendment, which allows the Cabinet to remove a president if he or she is deemed unable to carry out the duties of their office. There was never any follow-up on this discussion, which Rosenstein denies having. 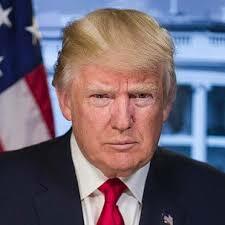 With respect to the entire Russia-collusion case, the actions of FBI and Justice Department officials, CIA Director John Brennan (who behind the scenes peddled the phony Steele dossier to members of Congress and the media) and President Obama, need to be thoroughly investigated by Congress or by an independent commission. Members of the journalism community also have to take a long hard look at their performance during the entire Russia- gate scandal. Simply put, it’s been terrible. Too many reporters and editors too eagerly embraced the Trump-Russia-collusion narrative as fact. The cardinal rule of journalism --- to show skepticism and think critically --- was tossed out the window. As a result, numerous “major” stories turned out to be wrong. CNN, MSNBC, the New York Times and the Washington Post, all made mistakes or over-hyped many of the Trump-Russia stories. What caused the press failures? Part of it was the desire of reporters to be the next Woodward-Bernstein, to break that big Watergate-style story that brings down a president. In other cases reporters were too cozy with members of the intelligence community, and they willingly spit out a false story line. Over the years, I’ve had little use for conservative media. Often I find conservative pundits completely off- base. But on Trump-Russia collusion, outlets like FOX --- which consistently questioned the conspiracy narrative --- got it right. They deserve credit. The nation has been through a lot during the last three years of Russia-gate. There’s been abuses of power by top officials of our government. The democratic process has been undermined. Journalists covering the story have shown a lack of professionalism. Now, there has to be a reckoning. Protestors to Trump: Hands Off Venezuela! NEW HAVEN ---- As tensions mount between the United States and Venezuela and a military conflict grows more likely, people rallied around the country last Saturday to protest President Trump’s threats against the Latin American country. One of those rallies took place in New Haven, where about 25 people gathered in chilly temperatures at the corner of Church and Elm streets downtown to protest US policy and demand that their elected representatives stand and be counted. Pres. Trump said in response to a question about possible US military intervention that “all options are on the table” for the United States to achieve its goal of replacing the government of President Nicholas Maduro and install the pro-American Juan Guaido. .
Several speakers said that the US needs to keep its hands off Venezuela and respect its sovereignty. They charged that the main reason that the US wants Maduro to step down is because the US wants a more pliable government in Caracas so US corporations can gain control of Venezuela’s vast oil reserves. “What is the problem with Venezuela? It’s just that they decided to be independent from the United States and that is the only thing they are guilty of,” said John Lugo, of Unidad Latina en Accion in Connecticut. Henry Lowendorf, co-chair of the Greater New Haven Peace Council, which sponsored the rally, asked people to sign a petition demanding that US Rep. Rosa DeLauro, D-3, speak out against Trump’s harrassment of Venezuela and support and co-sponsor legislation which would block the US from using its military in that country. “We are asking her to speak out because she has been silent as most representatives in Congress have been about Trump’s threats to invade Venezuela; she has been silent about the deadly sanctions against Venezuela; and she has been silent about the coup,” he said. Lowendorf also suggested that people who live in other districts in Connecticut get their congress members to support the legislation, which has been introduced by U.S. Rep. David Cicilline, a Democrat from Rhode Island. DeLauro’s office was closed, but the group said they will be back and present the petitions on Monday. Lowendorf said he worries that the United States will create some incident to serve as a justification for intervening in Venezuela. “They’re trying to provoke something they can use,” he said. 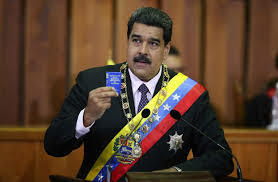 Members of Connecticut’s congressional delegation --- all Democrats --- are remaining mostly silent as the Trump administration tries to oust Nicolas Maduro as president of Venezuela, threatening to use force if necessary. Claiming that Maduro is running an authoritarian regime which has mismanaged the Venezuelan economy, President Donald Trump and other officials are demanding that Maduro be replaced, and they have hinted at the possibility of a military intervention. Crippling economic sanctions have also been levied against Venezuela. On January 23, Trump said in response to a question about possible military action by the U.S., that “all options are on the table.” He reiterated the comment that “all options” were being considered, at a press conference with Colombian President Ivan Duque Marquez last week. In threatening to use military force to overthrow a sovereign government, Trump is violating the UN charter, to which the United States is a signatory. Yet all members of the Connecticut congressional delegation, with one exception, have said nothing about Trump’s strong-arm policy. A check of congressional websites shows none of the five members of the House of Representatives from Connecticut have taken a stand on Trump’s Venezuela policy. Phone calls were also made last week to the offices two congressmembers, Rep. Jim Himes, D-4, and Rep. Rosa DeLauro, D-3, seeking comment on Venezuela. A staff person for Himes said the congressman had not taken a stand yet on the issue, but someone would call back if he chose to comment now. So far, there’s been no reply. A staff person at DeLauro’s office said she didn’t know if the congresswoman had a position on the administration’s Venezuela policy. “All her positions are on the website,” she said. A spokesman at the office of U.S. Sen. Richard Blumenthal, D-Conn, said “I don’t think he’s made a comment on that yet,” when questioned about Venezuela. But he promised that if the senator did take a stand, the office would inform me. Despite the stand of the Democrats, peace activists in Connecticut and elsewhere are beginning to mobilize to protest U.S. policy on Venezuela and prevent what could be a catastrophic American military intervention. Next Saturday, February 23, rallies are being held around the country and around the world to protest U.S. policy towards Venezuela. Locally, the Greater New Haven Peace Council is sponsoring a rally in New Haven, on the New Haven Green at Elm and Church Streets from 12 noon to 1 PM. There will also be a march to Congresswoman DeLauro’s office at 59 Elm Street. Another rally sponsored by the Connecticut Peace and Solidarity Coalition is taking place in Hartford outside the Federal Building on Main Street from 12 noon to 1 PM. In New York City, there will be another rally entitled “March on Wall Street to Defend Venezuela,” beginning at 1 PM at 40 Wall Street in Manhattan. "We must stop another war. We must end the sanctions. No to the coup," said Lowendorf. NEW HAVEN --- Members of the Greater New Haven Peace Council showed up in frigid weather outside City Hall on Friday to pass out leaflets urging people to oppose the Trump administration’s coup attempt in Venezuela. Claiming that Venezuelan leader Nicholas Maduro is running an undemocratic failed state, administration officials are demanding that Maduro step down and be replaced by a man backed by the United States, Juan Guaido. On Wednesday, President Donald Trump said that “all options are on the table” --- implying that if Maduro is not willing to step down, the United States would consider using military force to get rid of him. Peace Council member Jim Pandaru said people are tired of America trying to force regime change around the world, often using force to achieve its ends. He cited Iraq and Libya as recent examples. “ I’m here to draw attention to another American misadventure overseas, getting involved and continuing endless wars. Everybody is almost taking war as a given, as a natural thing just like getting dressed in the morning. This madness has to stop,” said Pandaru, a Vietnam veteran and member of Veterans for Peace. Jim Pandaru of the Greater New Haven Peace Council protesting US-orchestrated coup in Venezuela. Pandaru said the administration is lying by saying that they want to replace Maduro in order to bring more democracy and freedom to the Venezuelan people. “Venezuela is sitting on top of one of the greatest oil reserves in the world and we just want to get our hands on it,” he said. Peace Council members urged people to call their elected representatives in Congress to demand that the United States stay out of Venezuela and stop interfering in the affairs of other countries. The congressional switchboard is 202- 224-3121. The White House number is 202-456-1111. It’s stunning the way so many in the media and political leaders on both the left and right keep heaping praise on former President George H. W. Bush. I hear the words “kind” and “decent” and “honorable” to describe him. People also fondly recall Bush’s promise as he started his presidency that America would be a “kinder, gentler nation” going forward. Maybe the first President Bush was a kind and decent man to some, including family, friends and staff. But people in other countries, like Panama or Iraq, surely have a different view. Both those nations suffered terribly at the hands of the American military, during unwarranted and brutal invasions ordered by Bush. Incredible violence was unleashed through aerial bombings and ground attacks. Tens of thousands of people died and infrastructure was leveled. And war crimes were committed. One event that I will never forget was what happened at the end of the Persian Gulf War, or Gulf War I, in February of 1991. That conflict began when Bush ordered an invasion of Iraq in retaliation for Iraq’s attack on Kuwait, following a dispute between the two countries over oil rights in a border area. Iraqi forces were quickly overwhelmed by the massive deployment of nearly 1 million US and allied troops, and a relentless bombing campaign. The war virtually over, Iraqi troops and civilians were withdrawing on two highways out of Kuwait, in compliance with a UN resolution. The retreating troops posed no threat. But President Bush and his commanders had decided they would give Iraq no quarter. What unfolded was one of the greatest war crimes in history. First, American attack jets bombed the columns at the front and back, leaving the middle of the convoys boxed in and unable to move. US planes then carpet bombed everything they saw. The bombardment left a horrifying carnage. 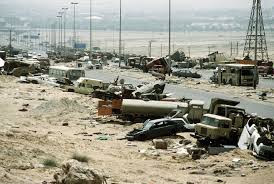 “On the inland highway to Basra is mile after mile of burned, smashed, shattered vehicles of every description --- tanks, armored cars, trucks, autos, fire trucks ,” said the story in Time magazine on March 18, 1991. Joyce Chediac, a Lebanese-American jounalist who reported on the Gulf War, testified in 1991 about what she saw before a New York commission studying war crimes : "While 450 people survived the inland road bombing to surrender, this was not the case with the 60 miles of the coastal road. There, for 60 miles, every vehicle was strafed or bombed, every windshield is shattered, every tank is burned, every truck is riddled with shell fragments. No survivors are known or likely. The cabs of trucks were bombed so much that they were pushed into the ground and it’s impossible to see if they contain drivers or not. Windshields were melted away and huge tanks were reduced to shrapnel. "This one-sided carnage, this racist mass murder of Arab people, occurred while White House spokesman Marlin Fitzwater had promised that the US and its coalition partners would not attack Iraqi forces leaving Kuwait. This is surely one of the most heinous war crimes in contemporary history," said Chediac, whose testimony was repeated in a 2016 article in Global Research called "Twenty-Five Years Ago: The 1991 Iraq Gulf War, America Bombs the 'Highway of Death'. " While there is dispute about how many people lost their lives in the air attacks, Chediac believes that tens of thousands of Iraqi soldiers and civilians were killed. Shortly after the massacre, the war formally came to an end. George H.W. Bush had his victory and his political ratings soared. America showed who was boss in the Middle East and US oil interests were protected from any unwanted interference by Iraq. As Neil Young wrote in his song "Keep on Rockin' in the Free World," America had a "kinder, gentler machine gun hand."